Screw Pile Machine — American Ground Screw Mfg. 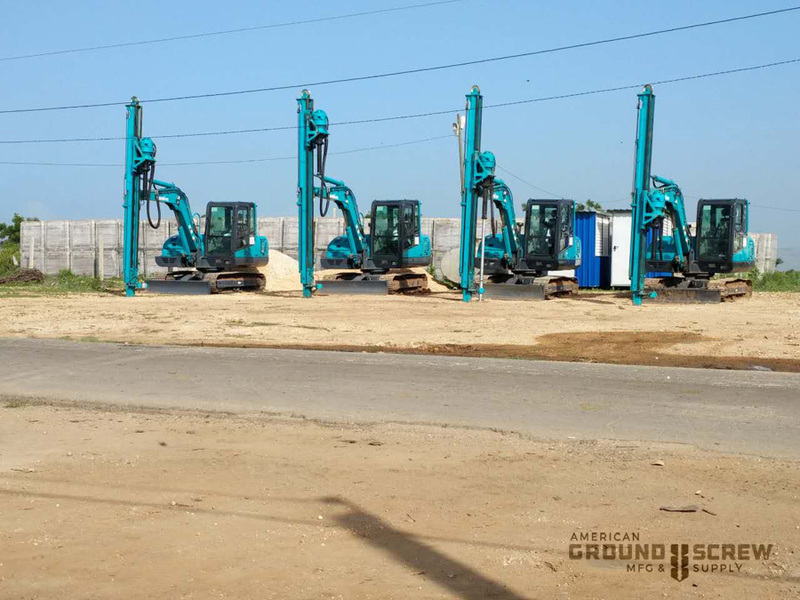 This type spiral pile drill rig is a new type of simple drilling equipment with independent innovation, ideal for pile construction in solar panels, billboards, street lanp,fences, flagpoles, triffic signs, isolation net and simple houses, giving strong stractum adaptability and high efficienct. 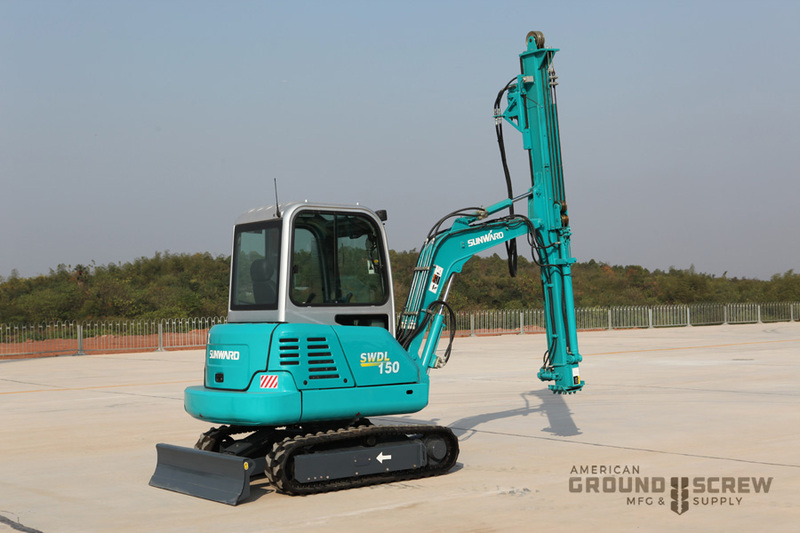 The rig is equipped with a large torque rotary head for strong power, which provides strong adaptability in stratum. 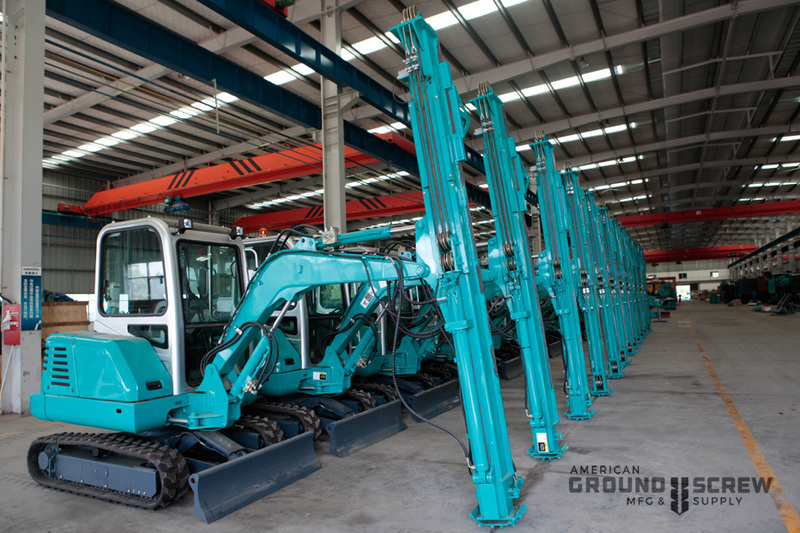 The hydraulic system adjusts rotation and feed to the stratum conditions accurately, which ensures high drilling efficiency. 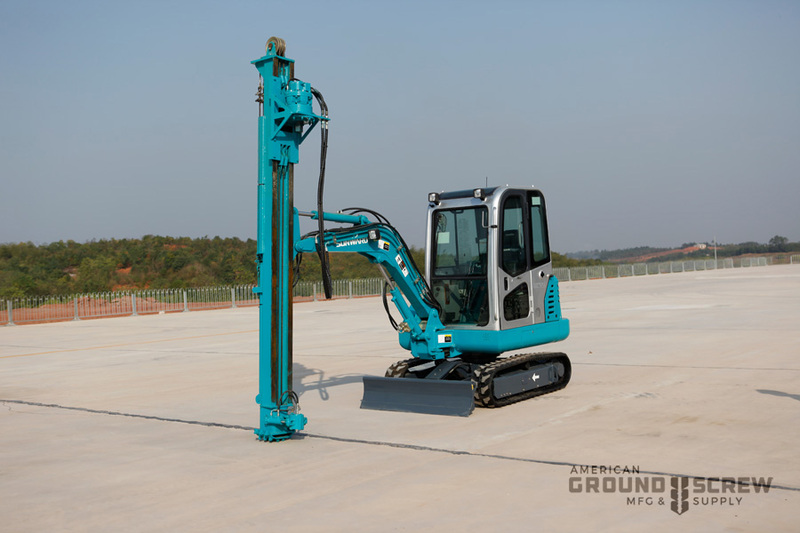 The rig is equipped with a pile guide device to guarantee pile verticality and quality. 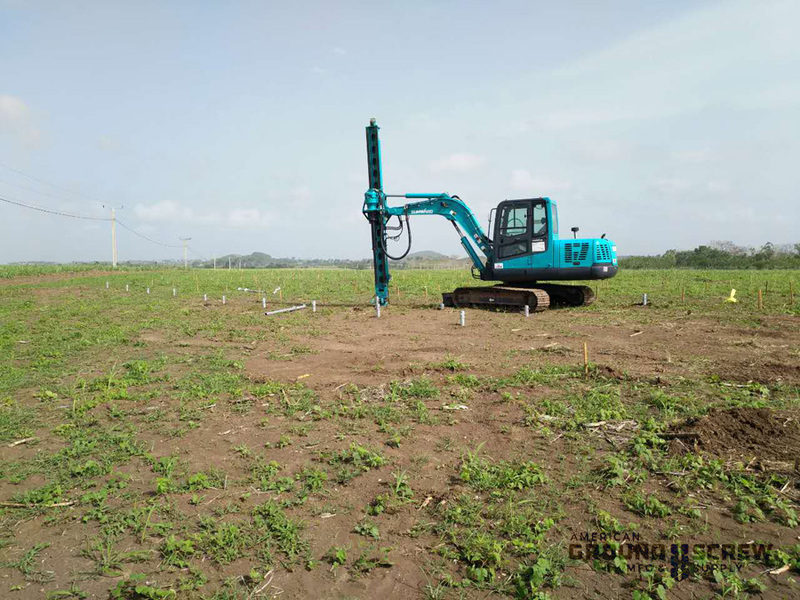 The rig can be equipped with various pile connecting devices according to the pile structure and size,which makes pile insertion flexible and efficient. 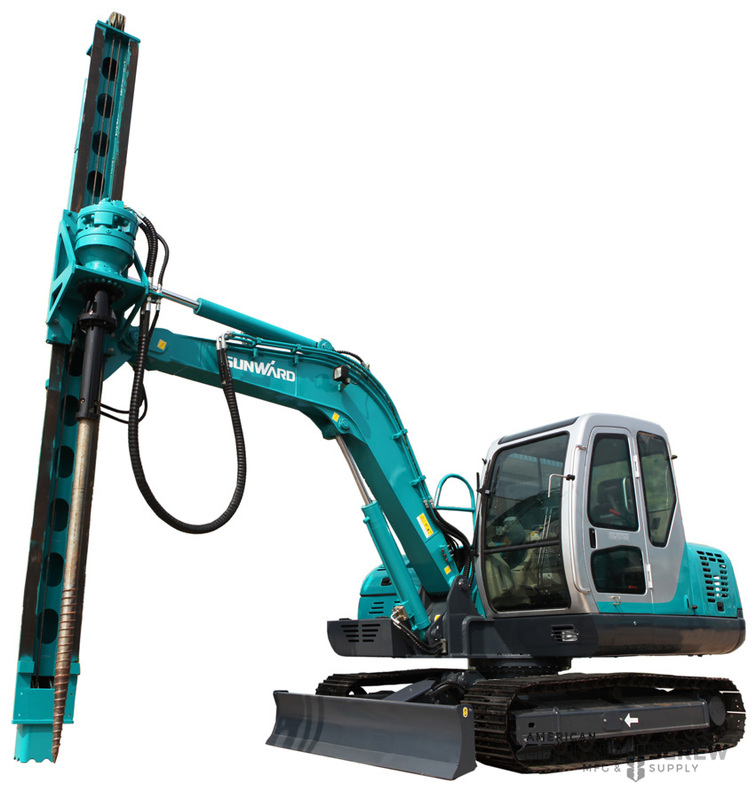 In different stratum configuration, the rig can be equipped with down-the-hole percussion, cutting, short spiral and other tools to achieve full stratum drilling.